BPLinks is a strategic business development company, with a major focus on beauty and medical industries. 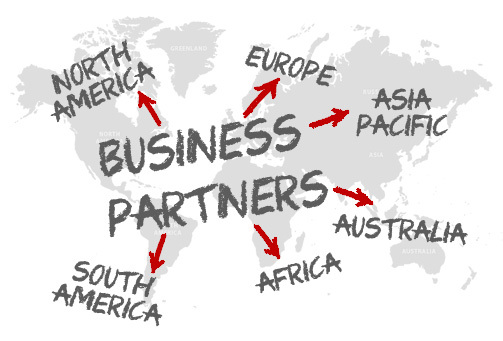 We have worldwide connections which we draw upon to ensure our clients succeed, on a global scale. Whether you wish to penetrate a new market or strengthen your current share of an existing one, BPLinks’ experienced team can help and, moreover, guarantee to be no more than a phone call away, from start to finish. we offer a wide range of marketing, financial and distribution solutions, both globally and locally and with our extensive network of contacts, we can ensure that every one of our clients is well-matched when it comes to new business introductions. The people we represent come from all professional walks of life but have one thing in common – they seek a strategy that will suit their specific business needs and target markets. This is where we come in. What is it, then, that sets us apart from our competitors? Well, at BP Links, we offer tailor-made business strategies, designed to find you exactly the right distributor. Moreover, we don’t just make the connections; we remain at your side every step of the way. We believe in looking at the bigger picture –whether this is international expansion, increased revenues, or obtaining a larger market share. Furthermore, BP Links believes in quantifiable goals. We sit with you and devise a strategy that suits you perfectly, but we guarantee to follow it through. We are proud of our hands-on approach – we will make the phone calls, approach distributors personally, indeed do everything it takes to promote and expand your business, and get you the results you need. Our management team brings years of global marketing know-how and hands- on experience to the table. With our extensive sales and distribution expertise, we have successfully created and developed markets for companies all over the world. Based in Israel, our employees are fluent in several languages and work across time zones, ensuring you receive prompt results and precise delivery. If you are looking for new business opportunities, or just have a question, feel free to drop us a line. bPLinks was established in 2013 by Barak Levy. With over 10 years of diversified experience in the B2B global arena, he spent many years with RCS Rampal Cellular, heading one of their divisions. There, he was responsible for developing regional sales, increasing revenue and implementing a localised strategy. He represented the company at conventions in Europe and the United States, and was a key figure in the company’s activity in North America, LATAM, the Baltics, the Adriatic and several Western European countries. Barak studied for both of his degrees in Israel – and was awarded his BA in Business and Management Economics from Ruppin College in 2003 and his MA in International Relations from Bar Ilan University in 2011.